Although my average speed severly lacked the usual 300 km/h of the Formula 1 monoposts, I made it round the 5,5 km Yas Marina Circuit. A must: strong suport and encouragement from my family and colleagues. 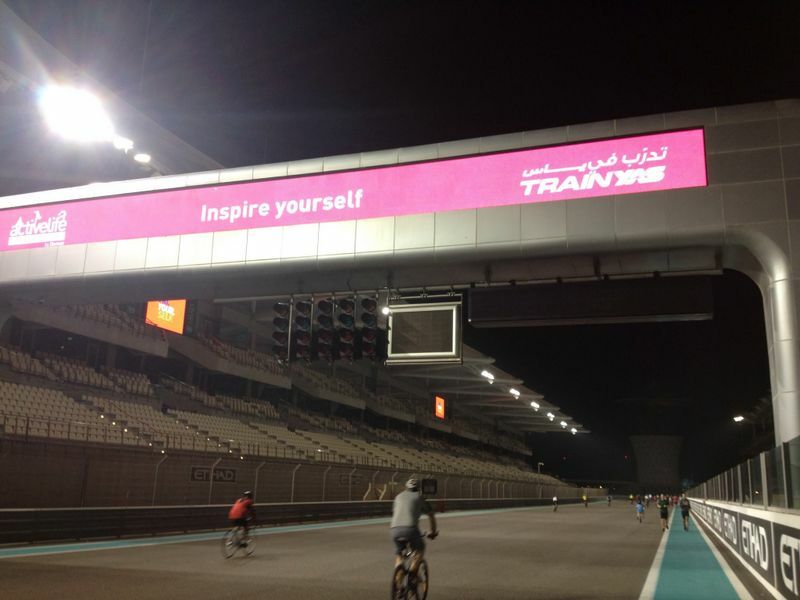 Goal: Formula 1 circuit – checked!